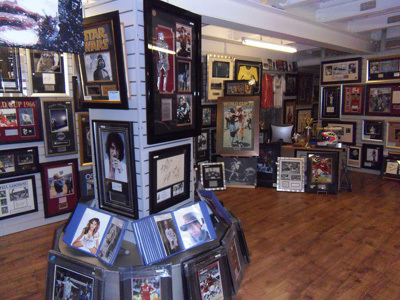 Sport And Star Autographs was the development of a private collection and love of a hobby spanning over many years. We opened our first store in 1998 and gradually over the years we have grown and become one of the most respected retail dealers in the country. We are very honoured to have won the Basildon District Business award 2005 for growing business and spirit of ingenuity, we stock 1000's of vintage and modern autographs from the world of Film / TV, Music, and Football Boxing and historical. if you cannot find what you are looking for please contact us as our stock can change daily. All our autographs are sold with a certificate of authenticity and life time guarantee, we are UACC registered Dealers No. 204, and AFTAL approved No. 04.